Swing Left San Francisco joins Democracy Action SF volunteers to register new citizens to vote following the monthly swearing in ceremony. 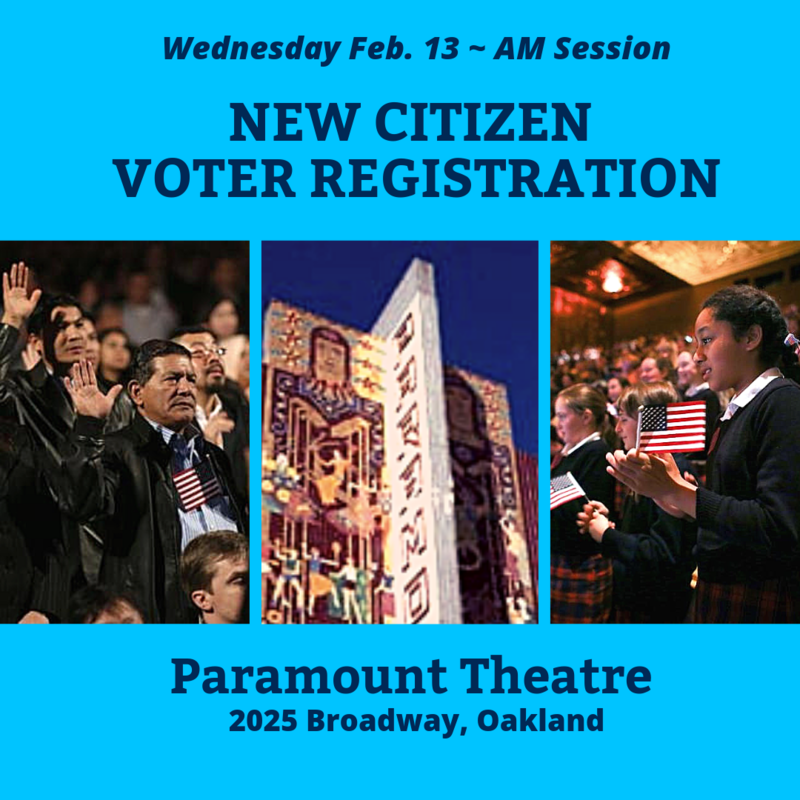 Welcoming new citizens to the United States by giving them the tools to fully activate their new freedom to vote is one of the most rewarding things we do. There's a short training at 10am sharp. If it rains, the event will be canceled.